It seems that Niantic has started to take quite some action against third party software developers and their bots, by serving the former with cease and desist letters, and updating Pokemon Go to render the latter obsolete, for now at least. 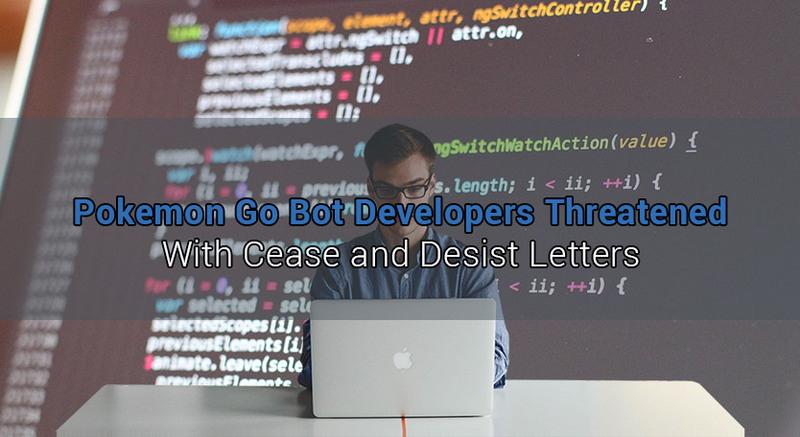 Earlier this week, Mila432, a famous Pokemon Go reverse engineer who released an API that facilitates tracking websites and bot development, was the first one to be served with the cease and desist mail from Niantic. While yes, maybe botting in Pokemon Go did get out of hand a bit, with some players using more than 50 accounts to bot at once (mostly for account selling purposes), threatening the developers might be somewhat too drastic. Another useful resource for Pokemon Go players was PokeVision, which also seems to have been shut down because of the current events. Here’s an open letter sent to Niantic, by one of the creators of PokeVision, Yang Liu. For more details about the status of PokeVision, you should check out their Twitter account. 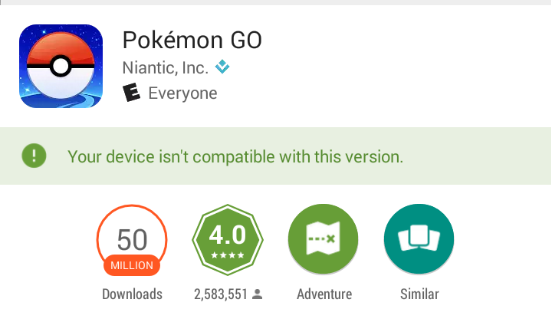 With this new updated version of Pokemon Go, it appears that Niantic has also targeted softwares like Nox, since many people couldn’t update their game app and were experiencing an error that the device isn’t compatible with the app, which allegedly can be bypassed by simply downloading the latest APK. While we never encourage usage of third party software in any game, including Pokemon Go, it’s safe to say certain things kind of got out of hand. For instance, people have even gone to the length of developing tools for automatic Pokemon Trainer Club (PTC) account creation, which to me personally it seems like an overkill for the botting scene. I understand that a lot of people were happy with it, especially the ones selling accounts, since it required little to no effort to make decent amounts of money, but it also can speed up the process of anti-botting actions. Now, we all know that there’s no better time to spread false rumors and fake “screenshots” other than during such events, so, of course, several people have started claiming they’ve got permanently banned from Pokemon Go for botting, or that they’ve received mails from Pokemon Go that they’re going to be refunded by Niantic for the purchase they made when they bought the account from other players, and such. While the possibility of actual permanent bans is quite real, I highly doubt any of the released screenshots share the same degree of authenticity. What we know for sure, according to GitHub and reddit, is that bot developers are working around the clock to bypass the new Pokemon Go updates and make their bots functional once more, but we’ll see in which direction this will be going, as they have to fight both the virtual and real life obstacles. Update: Niantic’s John Hanke confirmed that a ban wave is coming. Update 2: Confirmation that players using third party software (bots) are getting their accounts flagged. Regardless the side of botting you are on, this will be quite an interesting thing to see. I’m sure that third party software developers will always find new ways of bypassing the anti-botting mechanics Niantic adds, and at the same time, I’m sure that Niantic will always be increasing its security against such softwares, so it’ll be quite the fight. Even if it seems that the fight is currently carried between developers of each side, it’s safe to say that a Pokemon Go permanent ban wave will be coming soon. Should that be the case, rest assured that we’ve got your back! Make sure you let us know if you experience such issues, by firing up a message to our contact form, and we’ll get back to you as soon as possible!